Spring has sprung, and is there any better feeling than knowing better weather is on its way? The definite answer is no. With the weather looking up, this gives you more time to enjoy the sun and go out and smell the flowers. With spring cleaning taking place, it is only fair that you owe it to yourself to get started and get rid of the items that have extended their stay. Out with old, and in with the new, check out some items we’ve picked for you! 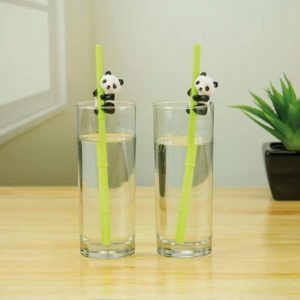 Because being environmentally friendly is in, once you’re done cleaning and organizing yourself away, enjoy a nice sip of your drink with these playful panda straws. Coming in a set of two, feel free to share one with a friend and look as lax as they do on their bamboo sticks! 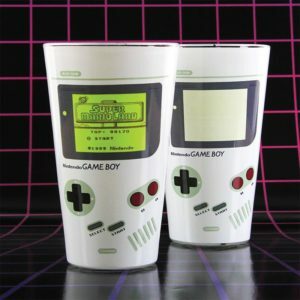 For your kitchen, there is no better to showcase how much you love Game Boy than with these color change glasses. Drinking a nice cold drink will make your cup come to life the best way possible. Pairing it with your panda straws is an option, but why go that route when we have Super Mario Straws you can enjoy as well? Trust us, we have all your bases covered. Lets face it, your bedroom is your favorite room and its understandable as to why. Because of your bed, of course! (You don’t have to tell us twice.) Filled with all your favorite things and comfort, adding a peg board on your walls for some daily inspiration is the only thing that is missing to be honest. Write your favorite mantra, your daily motivation or simple reminder to do your bed every morning. Kazoos and laughter sound like the perfect mix to bring everyone together, or a perfect recipe for disaster. 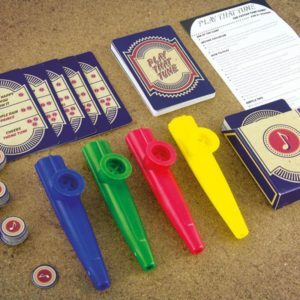 Either way, make cheerful noise with Play that Tune, where your objective is to play songs with your kazoo and make everyone guess what you’re playing. PreviousPrevious post:Celebrate St. Patrick’s the right way!NextNext post:Welcome to Paladone’s Revamped Website!